Did you plan wholesaling Yiwu carry case & Bag ? Next month Yiwu will hold a carry case & bag and material equipment exhibition, the detailed time is on April 13 to 15 , you could not miss the fair. As you know Yiwu carry case & bag on the 1st Floor and 4th Floor, District 2, International Trade City, more than 2500 shops are gather a Yiwu Suitcases & Bags Market, which have Lady’s handbags, kid’s school bags and pulling cases, cosmetic cases, messenger bags and shopping bags. 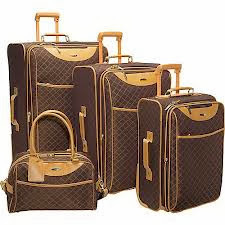 Yiwu Amanda Group does wholesale Yiwu Suitcases & Bag business, this is our bag online shop: http://www.yiwuen.com/wholesale-bags-handbags_c11 if there are your favorite kinds of carry case & bag please fell free to contact us.